Gared Steinke got his first AMA point on a TC125 at High Point after finishing 20th. 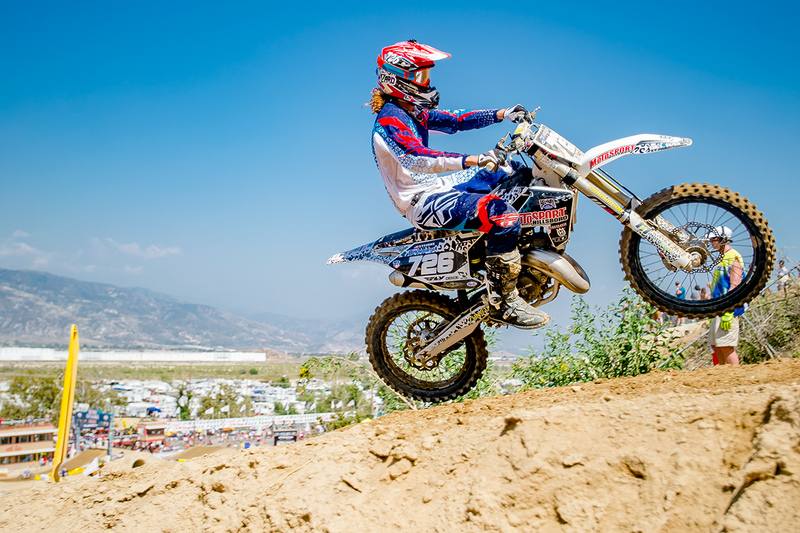 For most modern motocross races, two classes exist — the 250 class (also referred to as the MX2 or Lites class, depending on the series) and 450 class (also referred to as the MX1 or Premiere class, depending on the series). The primary difference between the classes lies in the engine’s displacement. In a 250 bike, the piston displaces 250 cubic centimeters. Currently, most manufacturers offer motocross bikes in several different displacements (65, 85, 125, 150, 250, 350 & 450). Back before four-strokes were de rigueur, the three most common Pro classes were 125cc, 250cc and 500cc. Although motocross originally started with four-strokes, in the late 1960s the marketplace begged for two-strokes, and remained that way for decades. The only reason four-strokes came back into the sport in the late 1990s was because the AMA gave them a massive displacement advantage (originally allowing 550cc four-strokes to race against 250cc two-strokes before toning that down to 450cc fours against 250cc twos). The mid 2000’s is when four-strokes started to take over. Their rapid popularity was somewhat surprising—even with the big displacement advantage. The benefits of the bike was mostly in its broader powerband and torque, which made it easier for the everyman to ride. The disadvantages were that four-strokes weighed more, were expensive in cost and maintenance, and far too difficult for the backyard mechanic to repair. However, the manufacturers liked the uptick in sales figures and started investing a lot of R&D money into four-strokes. In 2005, the AMA could not ignore the rapid growth of four-strokes. 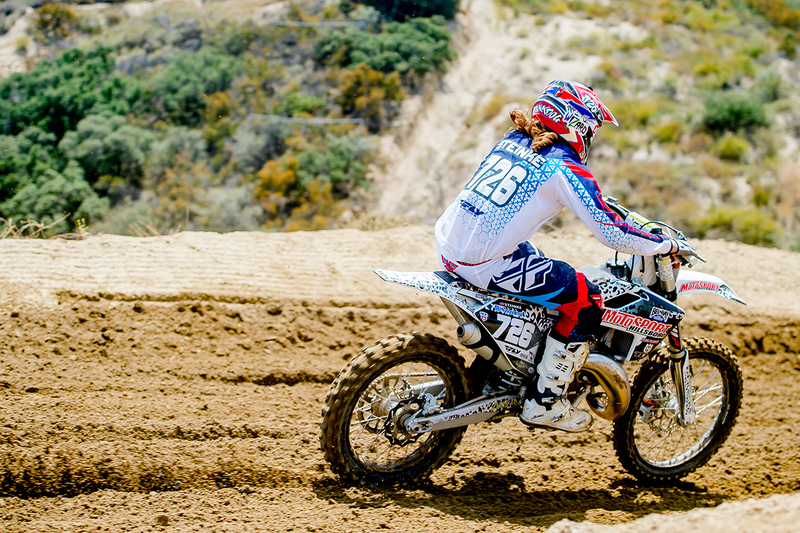 In 2006, the classes were renamed to MX and MX Lites (stupid names that MXA would not recognize—as we continued to call them the 250 and 450 classes). Eventually, AMA motocross came to its senses and, in 2009, switched the class names back to the cubic centimeter displacement numbers (the tone-deaf Supercross promoters held on to the stupid names a couple years longer). Why would the AMA put 250 two-strokes and 450 four-strokes into one class, and the 125 two-stroke and 250 four-strokes into another? Shouldn’t it be 125cc two- and four-strokes against each other, and 250 two-strokes and 250 four-strokes in the same class? If the rules were written at equal displacements the four-stroke would have failed miserably. The heavy, slow and cumbersome nature of a four-stroke compared to the brilliant simplicity and high output of the modern two-stroke engine on an even playing field would have resulted in two-strokes smoking (pun intended) four-strokes. When four-strokes made their comeback after decades spent in woods racing, they were based on antiquated trail bike designs. Without the added cubic centimeters, they would have been blown off the racetrack. And while the first truly great production four-stroke, the 1998 Yamaha YZM400F, was a competitive race machine, it was only competitive because it was 150cc larger than the two-strokes it raced against. The same holds true in the 125 class. A 125cc four-stroke can’t get out of its own way — thus, it needed double the displacement to run with a 125 two-stroke. 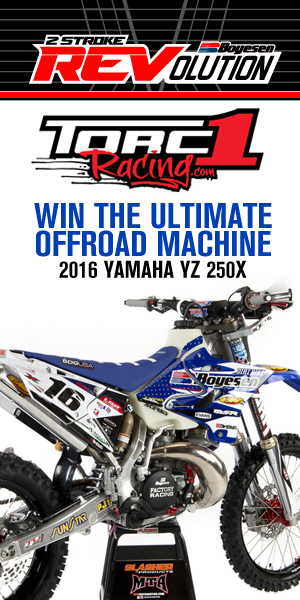 In 2011, MXA did a shootout between a Yamaha YZ250F and YZ250 (equal displacement). 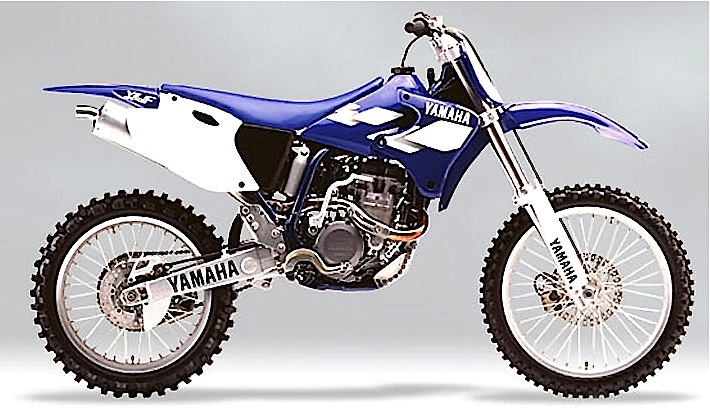 The YZ250 two-stroke had a ten horsepower advantage at peak and also produced torque that was closer to a 450 (30.6 ft-pounds compared to the 450 approximate of 34 ft-pounds). So, the bureaucrats are responsible for the four-stroke movement. 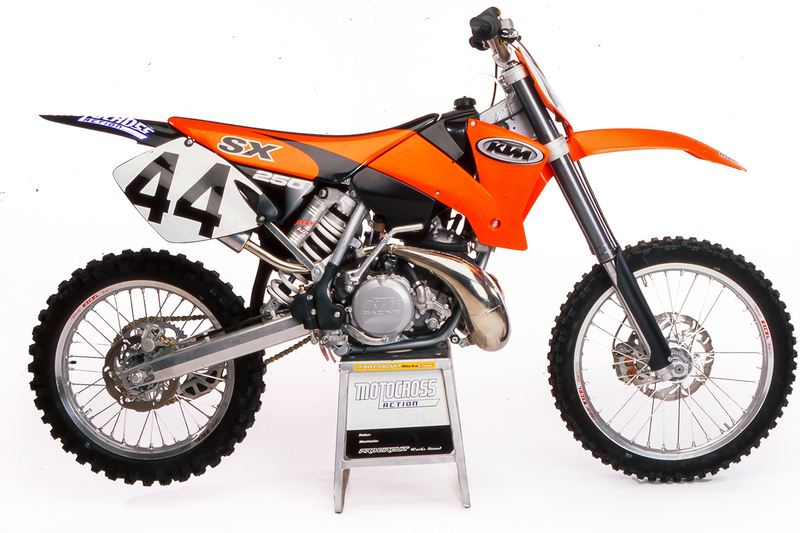 On its own merits, the four-stroke could never have survived in motocross. Simply put, at equal displacement, the two-stroke is much better. You can read the whole comparison here. The 1998 Yamaha YZ400F’s displacement boost is what made it a success. Without the added cc’s it would have been a failure. While two-stroke development has all but fallen flat over the last decade, four-stroke R&D has exploded. Today, a 250cc two-stroke and a 250cc four-stroke turn the exact same lap times. And many think that the sport would benefit from equal displacement rules for two- and four-strokes. And for some, the ultimate answer is to return to the lighter, cheaper and more powerful two-strokes—and exclude four-strokes completely. There isn’t a lot of pressure for AMA Pro Racing to change its rules about which bikes can run in which class and, in fact, the pressure comes from the manufacturers not to change the rules. Money talks in motocross promoting circles. If the displacements were equally matched, regardless of engine type, two-strokes would have the a massive advantage. But, Honda, Suzuki and Kawasaki don’t make two-strokes any more, so any kind of rule change to even out the playing field for two-strokes isn’t going to see the light of day. That’s a shame.